Man who claimed to be friend of synagogue shooting suspect on social media arrested on firearm charge after making disturbing statements. 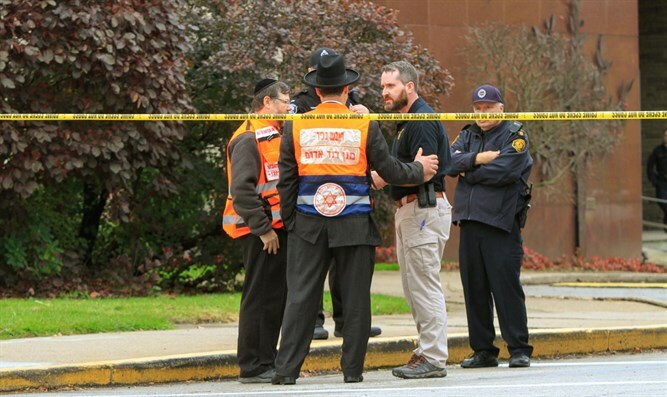 A man who claimed to be a “friend” of Pittsburgh synagogue shooting suspect Robert Bowers was arrested after making disturbing statements about the shooting, the Washington Post reported. Jeffrey Clark Jr., 30, was charged with illegally possessing a firearm and a magazine intended for use with AR-15 assault weapons, after family members reported him making disturbing statements following the suicide of his brother Edward, 23, shortly after the shooting in Pittsburgh. Clark, a resident of Washington DC, made his initial court appearance in the US District Court in Washington on Tuesday, and was ordered held until Friday.